Check out this fantastic work by Sitka. These guys are the real deal and trying to make a difference. TruBeach is proud to support them in their efforts to combat plastic pollution. "On Friday we launched our new film 'plastic beach.' This film documents our work with Clayoquot Cleanup to remove, at an industrial scale, ocean plastics. In a 2 week period we removed 34,000 pounds of plastic from the remote beaches of Clayoquot sound (near Tofino). The timing of this launch is reminding people in this time of extreme consumerism and gift buying to be mindful and to make purchases of products that are not made of plastic and not packaged in plastic. Additionally...from the 23rd - 26th of November Sitka will be donating 100% of sales to further fund our efforts with Clayoquot Cleanup and continue to restore these once pristine beaches". Beach cleanups are becoming more and more common around the world. People who use the beaches and play in the ocean are giving their time and energy to try and combat the results of ocean pollution. In doing so, they are also raising awareness of the problem to the general public. When you join a beach cleanup you join a global community of people who care. Hats off to the Mavericks crew, Surfrider Pacific Rim, Vancouver, NorCal, San Mateo, Central and Ocean Legacy for their efforts. TruBeach is thrilled to be a free and useful tool in the documentation and reporting of these events. TurBeach helping Surfrider and other Organizations. 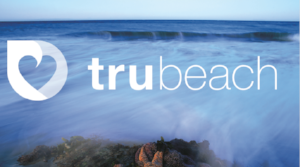 TruBeach is profiled in Surfrider Foundation’s latest newsletter! This is great for us as it helps to spread the word and grow our community, thereby increasing awareness of the state of our coastlines. Thanks Surfrider! Over the past 35 -years I have been fortunate to travel the world on business. But I have seen so many coastal areas around the globe away from the resorts that are highly polluted and out of site of regular citizens. Together we need to help bring awareness and education to the true state of our coastlines and oceans. Please upload all your recent beach photos to our free app Trubeach. By doing so you will be part of the movement helping to create an ocean in which we will be proud to have our grandchildren swim and play. 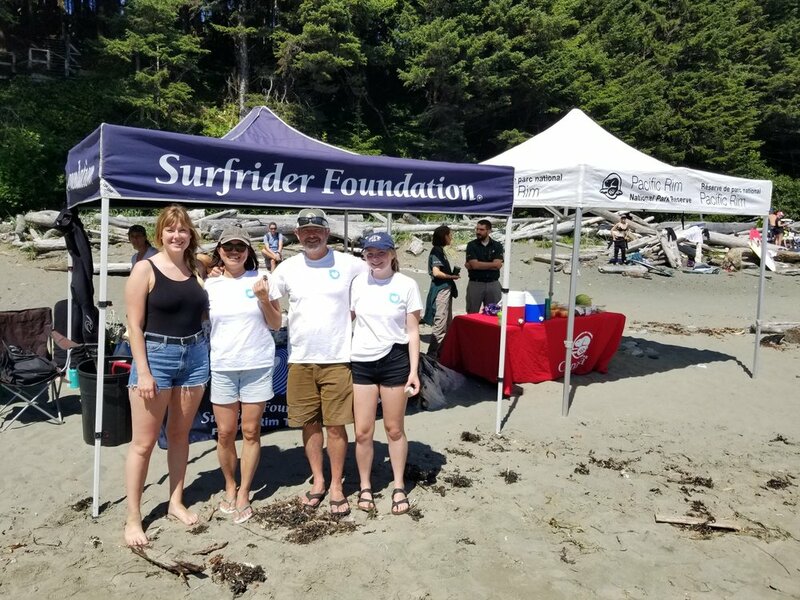 During the last few months, our Trubeach crew have been joining volunteers from the Surfrider Foundation to help clean up beaches and other locations around the Pacific Northwest. The Trubeach crew volunteered with Surfrider Pacific Rim (www.pacificrim.surfrider.org) on a beach clean up of Florencia Bay, Tofino area this past month. TruBeach can be used as a tool by groups such as Surfrider and others to report what they see and do during beach clean ups. Sharing information on a community platform is very powerful, the more we report and share the quicker we can educate the population to be aware when they throw something away. The question is where is away. The answer is much of the time away ends up in our oceans. By supporting groups like Surfrider and using Trubeach (www.trubeach.co) as a tool to report the “Tru” condition of our beaches and oceans, collectively we can change the tide of pollution in our oceans. Thanks again to the support from Surfrider Pacific Rim and all the volunteers for making this day a success. 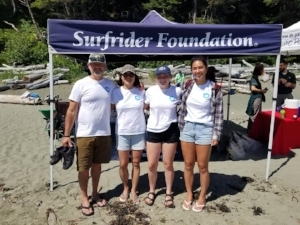 Surfrider Pacific Rim – Jason Sam Chairman; Colleen Sedgwick – Committee Lead ; Lilly Woodbury – Chapter Manager and all the other Surfrider volunteers also thanks to volunteers from Trubeach Kina Bennett, Mac–dawg Sheridan and Rieko Bennett. TruBeach is currently available for IOS in the App Store. We would like to develop an android version to increase our reach. We have over 750 North American beaches currently in our database and are trying to expand our library and community reach globally. We would like to include new features in the App which have been identified as useful by ocean conservation groups. Please contribute any amount if you are able. Contributions of $50 or more receive a free TruBeach t-shirt. Thanks so much for helping. Together we can make a difference. Today is World Oceans Day. Get out there and enjoy the ocean, hit the beach, or join in a beach cleanup. Check out some of the local chapters of various ocean protection organizations like Surfrider, or the Ocean Conservancy. By acting responsibly you will influence others to reconsider their day to day actions and behavior. Keep spreading the word, and posting current beach conditions. Together we can make a difference.